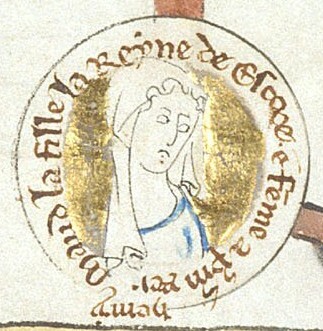 Matilda of Scotland, the fifth child and first daughter of Malcolm III of Scotland and his wife, Saint Margaret, was born around 1080 in Dunfermline. The baby was called Edith and it seems that she showed her ambition to become Queen at her christening, when she grabbed Queen Matilda’s veil and tried to pull it towards her own head. We don’t know much about her childhood, but it seems to have been a happy time for Edith. Matilda taught religion to her children and Edith had a great regard for her. Matilda was a loving mother, but she could also be quite strict and use the rod if she thought it necessary. In her opinion, it was because of this if her children had good manners. In 1086, Edith, together with her young sister Mary, left her family and went to live at the abbey of Romsey, to be educated by her Aunt Christina, who frequently beat her, scolded her and made her feel inferior and inadequate. Christina also forced her niece to wear a black veil, which would cause a lot of trouble for her in the future. Edith hated the veil: “that hood I did indeed wear in her presence, chafing and fearful… but as soon as I was able to escape out of her sight I tore it off and threw it in the dirt and trampled on it. This was my only way of venting my rage and the hatred of it that boiled up in me.” The girls remained there for six or seven years and then, they were moved to Wilton Abbey to continue their education. Here, Edith learned Latin, perfected her French and read the Bible and the works of the fathers of the Church and Latin writers. Her life suddenly changed in 1093. Edith was betrothed to Alan the Red, Count of Richmond. About the same time, Malcolm was coming to England to meet with king William Rufus II, son of William the Conqueror. However, their meeting didn’t really go well. Alan and Rufus visited Edith at the convent and saw her wearing the veil. Assuming she had taken the vows to become a nun, Alan kidnapped King Harold’s daughter Gunnhildr, who actually wanted to take the veil, but she died before they could get married. Malcolm was furious. He didn’t want his daughter to take the veil and so brought her home. Shortly afterwards, he was killed, together with his eldest son Edward, in a combat against Rufus. Her mother was ill at the time and upon hearing this news, her condition worsened. A few days later, she was dead too. Anselm the archbishop of Canterbury, who thought Edith really wanted to become a nun, ordered her to return to the convent but the girl, who had no such intention, refused. At this point, Edith completely disappears from the chronicles of the time for several years. It has been suggested that she went to the court of the English King, William Rufus, who may even have considered marrying her. Edith re-emerges from her obscurity in 1100 as the wife of Henry I, William’s brother, who had just succeeded to the throne. And she had a new name too: Matilda. 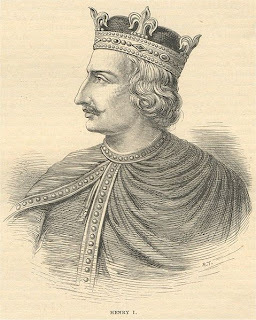 Although Henry had valid political reasons to marry Matilda (it enhanced its popularity with his subjects as Matilda was descended from the old English dynasty, and increased the chance of a truce on the Scottish border), it seems that he was actually in love with her. But there was an impediment to their union: the black veil. So Edith organized a meeting with archbishop Anselm, who agreed to call an ecclesiastical council to decide on the matter. Matilda claimed that her parents never intended her to become a nun. She had been sent to the abbey to be educated and worn the veil only as protection “from the lust of the Normans”, who has conquered the country a few decades earlier. The council ruled in Edith’s favour and, on 11th November 1100, she married Henry and became Queen. In 1102, Matilda gave birth to a baby girl, also called Matilda, and the following year a boy named William followed. The couple had two more daughters, but they died young. However, even though Henry cared for his wife, he wasn’t faithful to her, and fathered more than 20 illegitimate children! Poor Matilda seems to have “endured with complacency”. Matilda was the owner or substantial properties and estates, which she managed herself, thus setting a precedent for future Queens to follow. She acted as intermediate between her husband and archbishop Anselm during the English investiture controversy. She wrote letters to Anselm, who felt he had to leave England, asking him to return, and tried to influence her husband to reconcile with him. In the end, the King gave up the powers to invest prelates but retained the right to receive homage for “temporalities” (the landed properties tied to the episcopate). Matilda was nominated head of his council, issued charters and judgements, and often acted as regent of England during Henry’s absence. She also had the first arched bridge in England built, was a patron of music and literature, and commissioned a biography of her mother, St Margaret of Scotland. 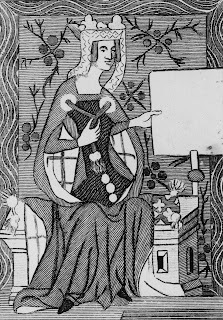 Matilda died at Westminster on 1st May 1118. The King gave money to maintain a perpetual light by her tomb and her brother David organized an annual memorial Mass. She had been a pious woman who cared about the poor and so was very beloved at the time of her death and soon, rumours started to circulated about miraculous signs occurring at her tomb. As her cult grew, pilgrims flocked to her grave. 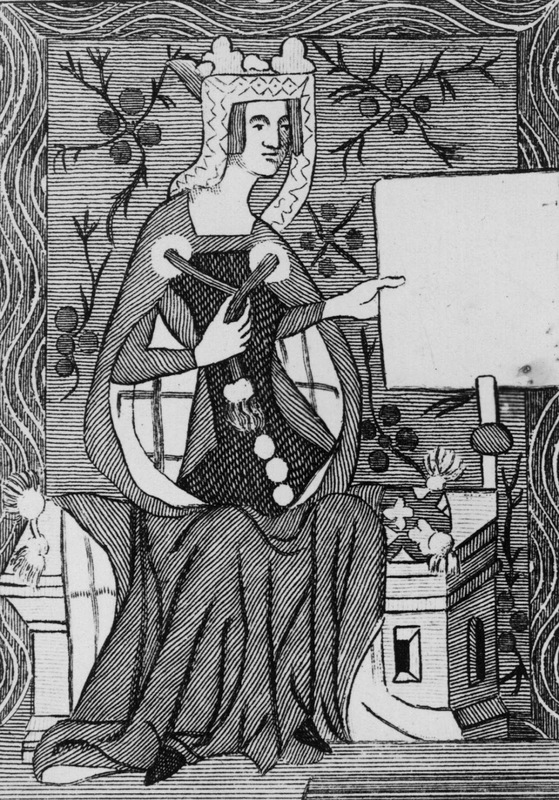 She was remembered by the people as “Matilda the Good Queen” and “Matilda of Blessed Memory”, and for a while, sainthood was sought for her, though she was never canonised.